It is 1939, and Hitler's war machine is rolling across Europe. Take control of either the Allied or Axis forces. Give orders to generals like Patton, McAuliffe, Montgomery, Rommel, Rundstedt, and Manstein. You will be able to relive six historical World War II missions. If you want to gain the upper hand, try to sabotage supply lines or eliminate enemy commanders using Special Forces. 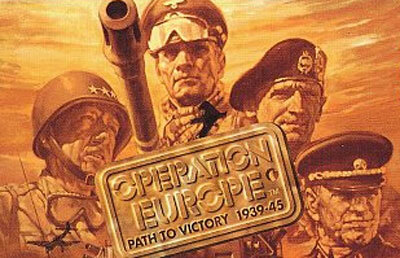 The history of the world is in your hands with OPERATION EUROPE: Path to Victory 1939-45.